Locate the power supply to be removed. 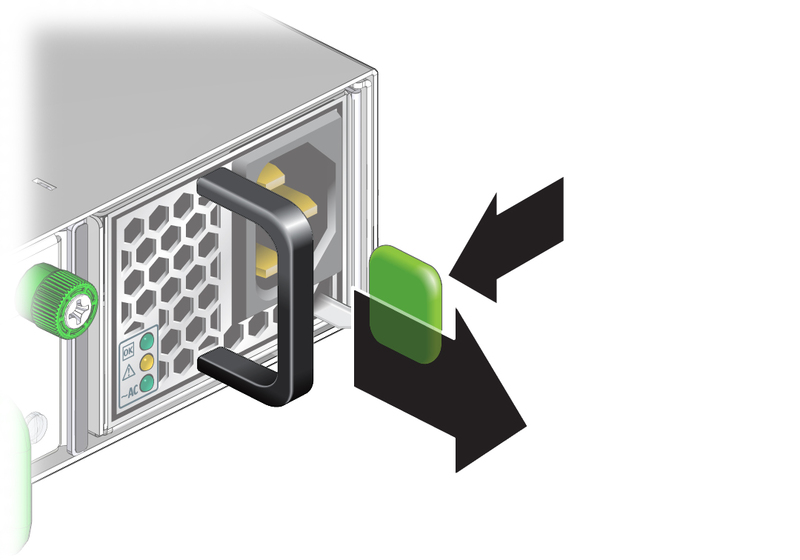 Press and hold the release tab to the left and pull on the handle of the power supply. Continue to pull the handle of the power supply to remove it from the chassis. 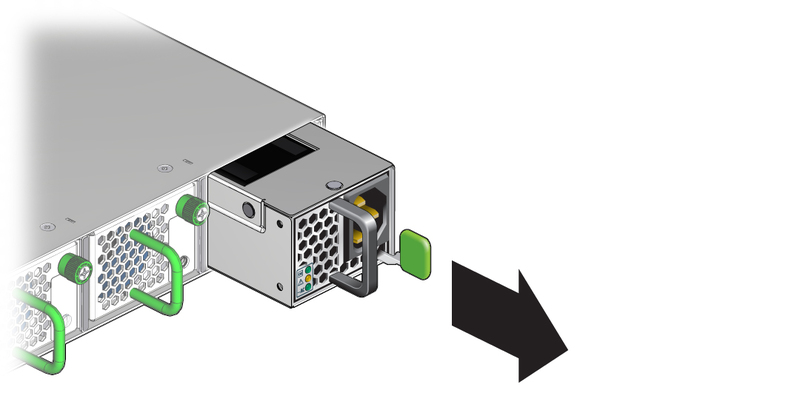 Install a replacement power supply.